WARRIORS coach, Sunday Chidzambga has continued to cast his net far and wide in search of players for the national team, as he seeks to build a formidable side that can match the continental traditional powerhouses. Chidzambga is next week expected to name his squad for the Cosafa Cup due end of this month, a tournament he will use to prepare the team for the Africa Cup of Nations (Afcon) qualifiers later this year. The veteran coach met with his technical team on Tuesday this week, where they drew up a long list of 40 players, who he wants to assess for the Cosafa Cup, and ultimately the Afcon tests. 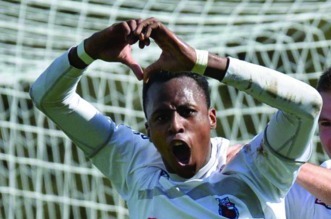 A notable inclusion is that of 23-year-old German-based forward, Kelvin Lunga, the son of former Warriors Max Makanza, who plays for Rödinghausen, in the fourth-tier league with the European nation. Australia-based goalkeeper Tando Velaphi (31) had also been included on the list, but will not make it as he is injured. The Wellington Phoenix player suffered a season-ending injury in March. But that will not give Chidzambga any sleepless nights, as he has created a big pool to select his players from. He has publicly stated his desire to field his best possible squad at the Cosafa. With the exception of injured Kuda Mahachi, all the other players who featured for the Warriors in the team’s thrilling 3-0 win over Liberia in the Afcon Group G opener at the National Sports Stadium last year are on the list, including skipper, Knowledge Musona, who scored a hat trick, Khama Billiat and Marvellous Nakamba. Also included on the list are all the members who travelled for the four-nation tournament in Zambia in March this year. That squad had the British-born Zimbabweans, Adam Chicksen, Alec Mudimu and Cliff Moyo, as well as South African-based Marshall Munetsi and Butholozwe Ncube, who were all given their first national team caps during that tournament. Other British-based players Macauley Bonne, Tendai Darikwa, Kundai Benyu and Admiral Muskwe, have also been called. Warriors team manager, Wellington Mupandare yesterday said he has since started notifying their clubs of the national team call-ups, while also sorting out immigration papers for those that were born outside the country. Costa Nhamoinesu is also expected to make his long awaited return after missing the team’s recent assignments due to an injury. Zimbabwe, who claimed a record fifth Cosafa Cup title in South Africa last year, will start this year’s tournament from the quarterfinal stage after receiving a bye in the group stages. They will begin their search for a sixth title with a match against winner of Group B, which has Angola, Botswana, Mauritius and Malawi. Hosts South Africa will take on the winner of Group A, which has Mozambique, Madagascar, Comoros Islands and Seychelles. The other two quarter-finals will see four-time winners Zambia clash with Namibia as Lesotho take on Swaziland. This year’s tournament, which for the first time will feature all Cosafa 14 member states, is scheduled for Limpopo province from May 27 to June 9.